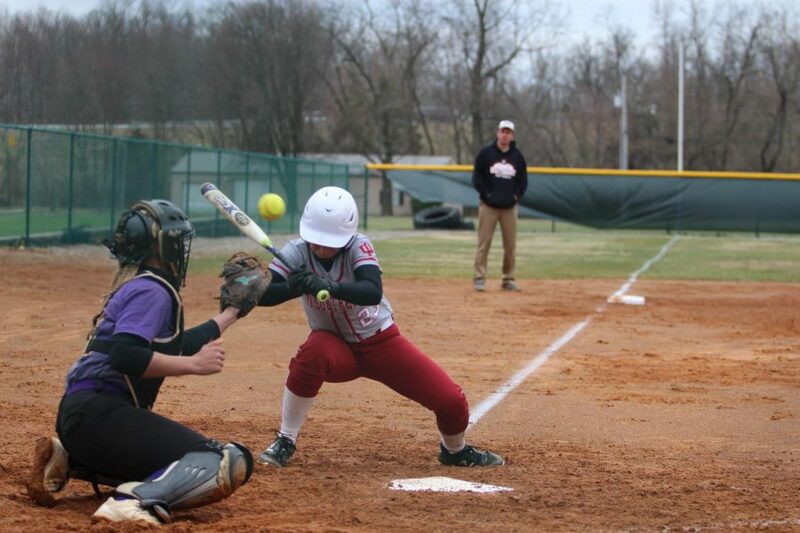 Maddie Probus gets hit in the shoulder by a pitch in game one of a doubleheader versus Carlow University last Friday. 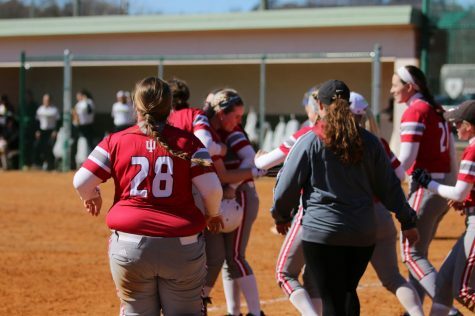 A cold wind blew over Koetter Sports Complex early Friday afternoon as the IU Southeast softball team warmed up for a doubleheader against River States Conference foe Carlow. 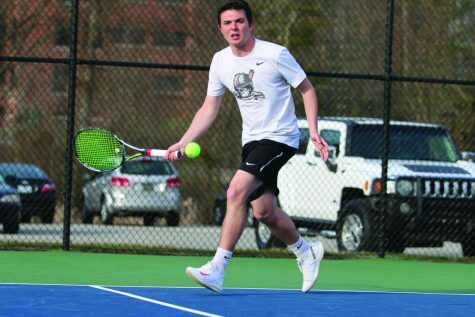 The doubleheader was the first taste of conference action for both squads. Game one saw the Grenadiers send out Emily Weiss. The Celtics meanwhile countered with Abby Stroud, who is among the RSC leaders in numerous pitching statistics. The Celtics struck first in the top of the second, when Keyara Morgan reached base on an errant throw from third baseman Kaitlyn Zillick. 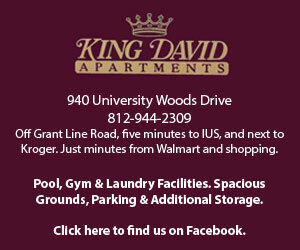 Morgan advanced to third on a groundout before scoring after Kasey Wolford stole second base. Carlow added onto their lead in the sixth, when Danielle Levato scored on a Wolford single, followed by Annamarie Osiecki scoring on a Adrianna Gottheld single. 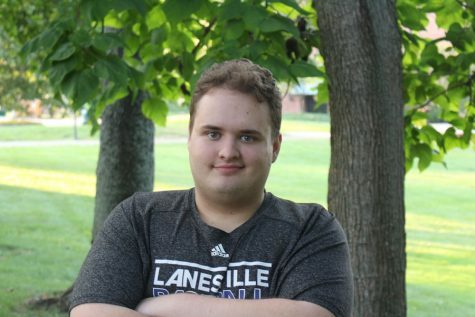 That ended up being all the offense of the game, as Stroud would allow only two hits and two walks, lowering her ERA on the year to a microscopic 0.81, best in the conference as the Celtics took game one 3-0. 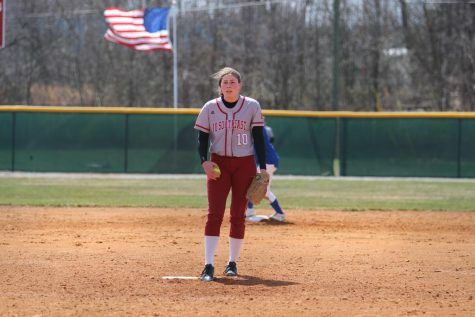 Emily Weiss took the loss despite tossing a complete game, striking out nine and walking four. 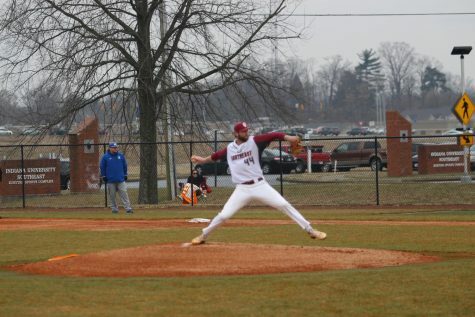 Pitcher Emily Weiss throws a pitch for a called strike in last Friday’s doubleheader versus Carlow University. 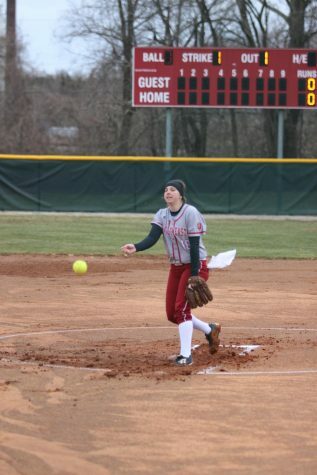 Game two turned out to be a reversal of fortunes for the Grenadiers, as starter Becca Schoenung fired a three hit shutout of her own, striking out four in five innings as the Grenadiers cruised to an 8-0 win. 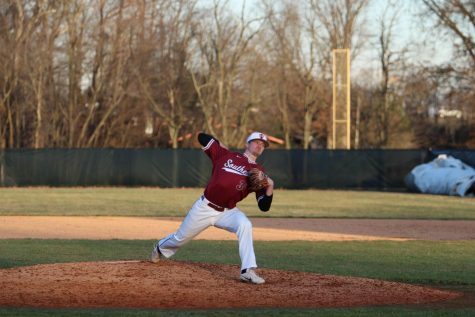 The game remained scoreless until the bottom of the third, when the Grenadiers offense exploded for seven runs against Celtics starter Osiecki. 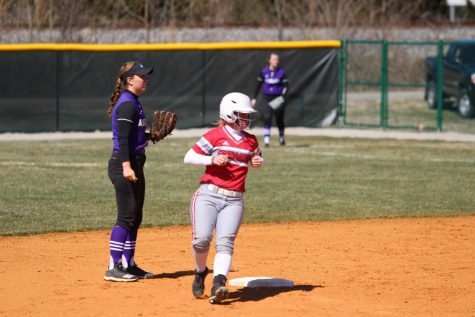 The surge was led by Miranda Miller, who, despite having only one hit in the game—that one hit came with bases loaded—doubling to the left to give her three RBI. 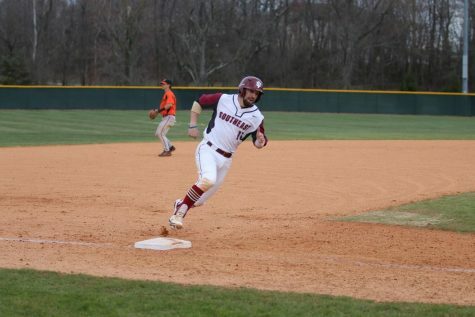 The Grenadiers scored another run in the fourth when Reecie Gilliam reached on a bunt single, followed by stealing second base. Gilliam quickly scored on a Lindsey Keen single back up the middle. Along with Miller’s three RBI, Keen went 2-for-3 with two RBI in the win. Kaitlyn Flowers went 2-for-3, her two hits being a double and a triple. 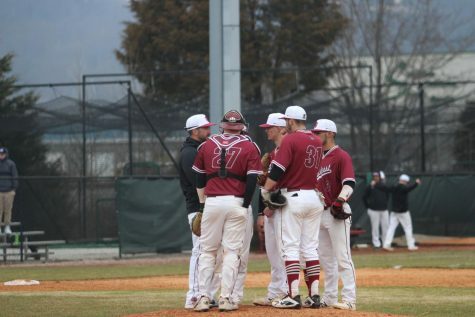 The doubleheader was the first of two in a weekend homestand, as the Grenadiers would face off against Point Park University the following day.